The other day, I was put off by the glaring inequality in some areas of our healthcare system, so I started wondering what I could do about it. Well, did you know that you can fight back against healthcare inequality by asking for alternative healthcare? There’s a definite and growing divide in this country between the rich and poor. But should how much you earn or how educated you are determine your access to alternative healthcare? I don’t think it should, but it unfortunately does. Rich and educated people enjoy a greater luxury when it comes to alternative healthcare. In turn, it can lower their bills, protect them from the dangers of prescription drugs, and allow them to lead a healthier overall lifestyle. But I’m going to tell you a secret: Although the rich can have their cake and eat it, too—so can you. When it comes to alternative health, knowledge is king. The more you know about its benefits and availability, the more you can use it to your advantage. In the end, the knowledge of alternative health can save you money, keep you healthy, and hopefully get you off of prescription drugs. A recent study (that is unlikely to get heavy media play) confirms that access to information is one of the main reasons that our healthcare system—specifically with alternative remedies and therapies like yoga, acupuncture, chiropractic, and natural products—serves some better than others. The research appears in the journal PLOS ONE. This is extremely alarming considering the fact that, at some point, almost every American will experience back pain in one form or another. Alternative therapies like the ones mentioned above, or even boosting your physical activity level, can play a major role in addressing the root causes of back pain and offer therapy that can eliminate it altogether. In relation to overall wellness, researchers have also found that physical activity levels correlate with knowledge. 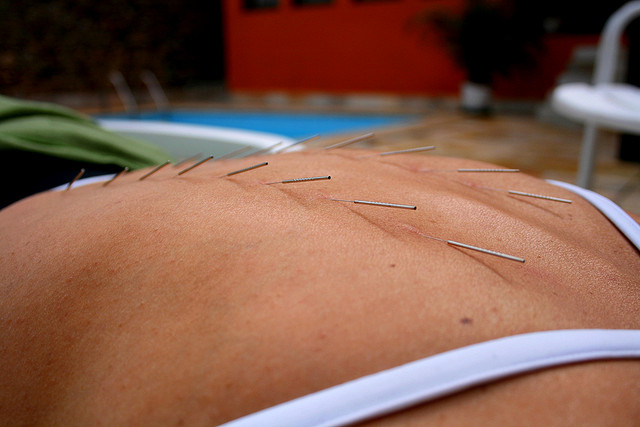 Alternative therapies like yoga, acupuncture, chiropractic, natural health products, and even increased exercise address the root causes of pain and illness. They are not drugs or treatments designed to make it easier to live with the maladies. Instead, they identify the cause of illness, and target it in an attempt to fix the problem. Ask most yoga instructors or personal trainers what their goals are and they will tell you it’s to improve your overall lifestyle. They don’t want you as a client for the long term. Instead, they want to provide you with the tools to keep yourself healthy. Ethical chiropractors and acupuncturists have similar goals. Speaking from my own personal experience, chiropractors and acupuncturists design a treatment model to fix your problem so they can discharge you when ready. They aren’t selling prescription drugs to keep you coming back! Ask your doctor for a referral next time they try to write you a prescription. You can also continue to read Doctors Heath Press and other resources for information on alternative therapies. San Francisco State University, “Knowledge about alternative medicine connected to education, income,” Science Daily web site, June 17, 2015; http://www.sciencedaily.com/releases/2015/06/150617144426.htm. Fitz, N., “Income Inequality: It’s Far Worse Than You Think,” Scientific American web site, March 31, 2015; http://www.scientificamerican.com/article/economic-inequality-it-s-far-worse-than-you-think/, last accessed July 14, 2015. Dutton, G., “Barriers to Physical Activity Among Predominantly Low-Income African-American Patients With Type 2 Diabetes,” Diabetes Care May 2005; 28(5): 1,209–1,210, doi: 10.2337/diacare.28.5.1209.